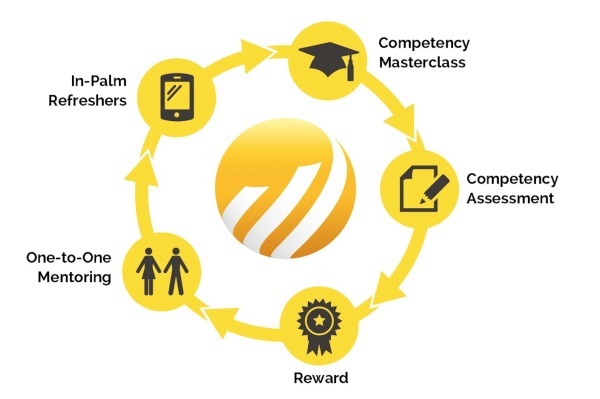 A Sales Academy is a collection of all the courses, content, assessments and Apps needed to help improve your business performance – glued together with a dedicated Slack group (or other ESN), mentoring support and attainment badges. To keep you fully updated on the success of The Academy, we will provide you with monthly reports highlighting who has been trained and how many Credits are remaining (see the Investment section below). We will also “Community manage” the Slack (or other ESN) group in an effort to drive mass participation and maximise the chances of lasting success. A Sales Academy provides a continual learning opportunity for all enrolled personnel, thereby maximising the chances of business success. Investment: To create maximum flexibility, each Sales Academy is funded by the procurement of a Skills License. A Skills License contains a number of Credits. Every course and service that we offer is equal to a “Credit Investment” (ie, a number of Credits). The more complex the service, the higher the Credit Investment. You can procure as many credits as you wish. The greater the number of Credits purchased, the lower the unit Credit value. Skills Licenses can be topped up at any time.